This entry was posted in Animals, Australia, Writing and tagged Australian raven, corvus coronoides, raven audio. Bookmark the permalink. That is an amazing encounter Ross. 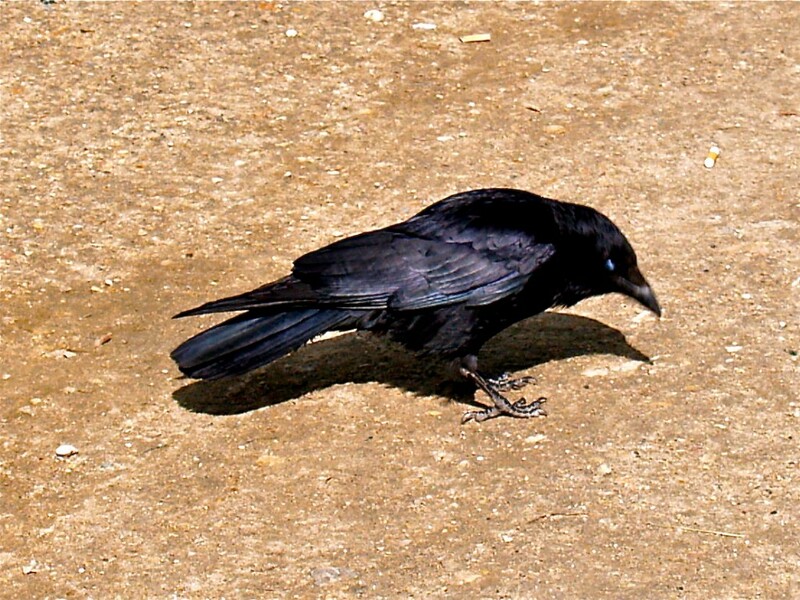 Here in the UK I have only see a group of ravens, (a small one at that) at The Tower of London. They are very imposing animals as they jollop across the green. I cannot imagine having 100 of these enormous birds in the trees above my head! How intimidating but how breathtaking! The Tower of London ravens don’t fly they have their flight feathers clipped, as legend says if the six resident ravens ever leave the Tower then the kingdom will fall. King Charles II put this one in place. Ravens were very rare in Britain but are making a comeback and I saw a news clip a while back about a pair of ravens nesting on the White Cliffs of Dover in Kent, South of England. If nothing else British ravens (Corvus Corax) obviously appreciate major landmarks in our country! Thanks for adding a comment. I have walked the grounds at The Tower of London and seen the ravens. I have no fear of these amazing, intelligent birds but was surprised with just how many I saw on the day.